Home Groupon Baker Loses Over $20,000 In A Groupon Deal Gone Horribly Wrong. Baker Loses Over $20,000 In A Groupon Deal Gone Horribly Wrong. In what should be a lesson to small business owners around the world, London baker Rachel Brown was obligated to bake over 100,000 cupcakes for customers to honor a “too-good-to-be-true” deal she ran on popular daily deals site Groupon. In the process, Ms Brown ended up losing about $3 on each batch – 12 cupcakes per batch – bringing her the grand total loss on the groupon deal to a whooping $20,000. Ms Brown offered a deal of 12 cupcakes – in various flavours and designs – for just £6.50 (british pounds). Her normal price, which includes a healthy profit, is £26 (british pounds) for a batch of 12 cupcakes. Essentially Ms Brown was giving away her cupcakes at a steep 75% discount on Groupon. 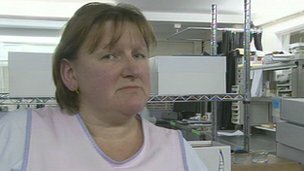 She ended up receiving nearly 10,000 orders as a result, 100 times more than her usual production level of about 100 a month. Ms Brown ended up hiring extra workers to fulfill her obligations on the deal. She also had a “no limit” on the deal, so in effect it was like shorting a stock. There was no upper limit to how many purchases could be made. She also lost her profits for the entire year in this single Groupon deal gone horribly wrong. This is not the first time a small business owner – in their zeal to get onto the Groupon frenzy – unwittingly lost money. Back in March 2010, Posies Café went through a similarly enlightening experience with the popular daily deals site. The Portland, Oregon-based coffee shop / bakery lost over $8,000 from a 50% off deal it ran on Groupon that resulted in about 1,000 Groupons sales. Like Brown, Posies’ also had no limit on its deal. Is Groupon Worth It For Small Businesses? Rice University associate professor Utpal Dholakia published a ground-breaking report on Groupon deals titled “How Effective Are Groupon Promotions for Businesses?”. In this report Professor Dholakia has documented his findings of a study based on interviews with 150 businesses in 19 American cities and 13 product categories that ran Groupon promotions between June 2009 and August 2010. The results are somewhat alarming and are also quoted in a related NYTimes blog post (below). Mr. Dholakia concluded that Groupon promotions were profitable for 66 percent of the businesses surveyed and unprofitable for 32 percent. He found that 42 percent of the businesses said they would not run another Groupon promotion. One Response to "Baker Loses Over $20,000 In A Groupon Deal Gone Horribly Wrong."